Donald Wayne Johnson is an actor, producer, director, singer, and songwriter. 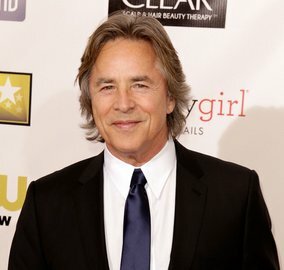 He played the role of James "Sonny" Crockett in the 1980s television series Miami Vice and had the eponymous lead role in the 1990s cop series Nash Bridges. Johnson is a Golden Globe–winning actor for his role in Miami Vice, He was the American Power Boat Association's 1988 World Champion of the Offshore World Cup, and has received a star on the Hollywood Walk of Fame.